Place the coconut milk, lychees and lemon juice in a blender. 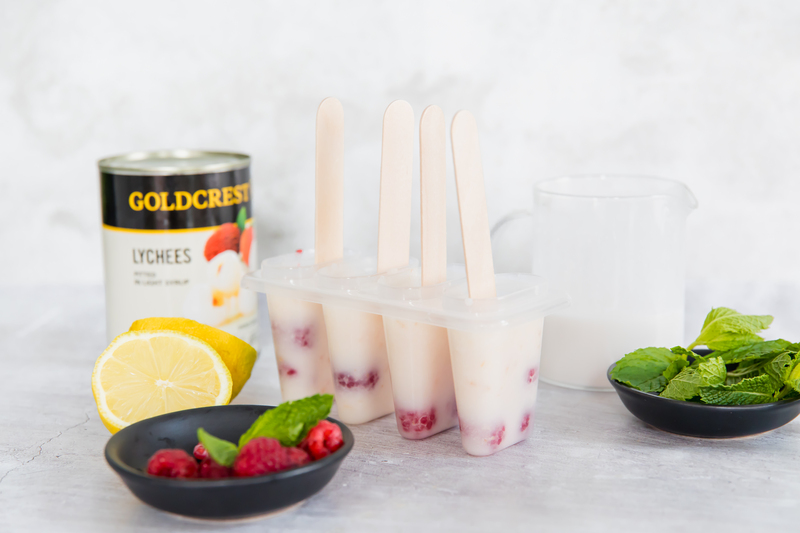 Pop a few raspberries into each popsicle mould. 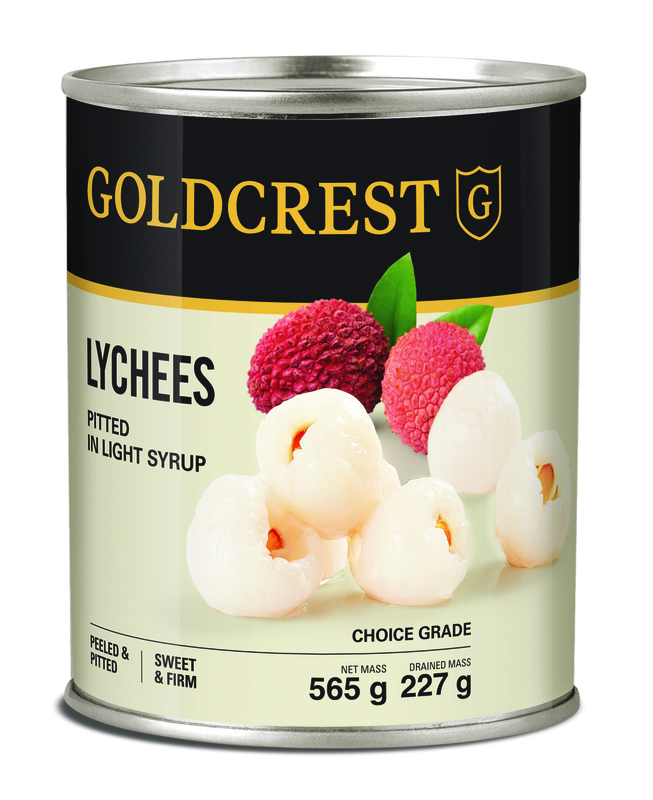 Fill the mould with the lychee mixture and add the ice cream sticks.